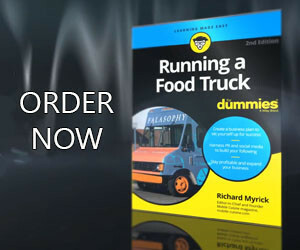 This time of year, a lot of people are researching how to start up a food truck business. As a culinary entrepreneur, you need to be aware of how very real food truck failures are. For those vendors that are already open, you may think that your business is fine, and that may be true. But then again, does anyone ever really expect their food truck to fail? The national data may fluctuate, but in general, about 50 percent of small businesses fail in the first five years. In the food truck industry this number is lower but after all your hard work to launch your food truck, is that something you really want to happen? Many food truck failures are preventable. If you know what to look for, you can avoid some of the most common causes. It’s such a simple thing: when you start a food truck, plan for where you want to take it. The problem with this is, many food truck owners don’t bother with a business plan. Whether they’re intimidated by the idea alone, they don’t know where to begin, or they’d just prefer to wing it, this lack of effort can cost them their mobile food business. Now that you know this is a major cause of food truck failures, you can absolutely prevent that from driving you into a ditch. Write a business plan! It doesn’t have to be 100 pages. Keep it simple and focused on the core offerings of your food truck, as well as how you’ll reach customers and where you want to take the business as it grows. You’re you are already a food truck owner you are probably capable of great feats of multitasking, But there comes a point in a food truck business development where doing it all yourself simply isn’t feasible if you want to grow, or even if you want to stay in operation. Being stubborn about hiring additional staff members when needed is definitely a reason for some recent food truck failures. Instead, fighting it, ease into it. Start with a single task you need help with. That could be writing content for your food truck blog, managing your financial accounts or answering the phones. Hire a part-time employee or temporary seasonal help to begin, and as that effort pays off by freeing you up to do other things, you’ll feel more comfortable adding additional staff members to your food truck. When I ask vendors how much their monthly business expenses are, do you think they can answer? Many food truck owners feel like accounting isn’t their thing, and so they don’t bother with creating budgets for those expenses. To make it worse, I’ve even run into some that don’t even use accounting software to keep track of them. A successful food truck owner has to have a basic grasp of accounting principles, even if they hire an accountant to manage their mobile food business finances. Understanding what’s coming in and going out of your food truck will help you ensure that you only invest time and money into revenue creating expenses. Of course a great food truck starts with having quality menu items that consumers don’t want to return. But it’s essential that you do have a customer service system in place to answer any questions or handle disgruntled customers. The more avenues you use to connect with consumers, the better. Vendors need to at networking, local business meetings, social media and email as additional lines of communication beyond the telephone. Another tip in this are is to respond promptly. There’s nothing more irritating than a customer emailing you about a catering opportunity only to have that email fall into a black hole. Look, Instagram or Periscope aren’t for everyone, and you might not “get” it personally, but if your customers are there, you need to consider using them (or whatever marketing tool fits the bill) to connect to them. I’ve talked to so many food truck owners who just didn’t like whatever marketing tool I encouraged them to use, and I always tell them: it’s not about you. Marketing is about using the networks your customers use to connect with them. Food truck owners need to either learn to embrace a disliked marketing tool or hire someone that can use it for you. 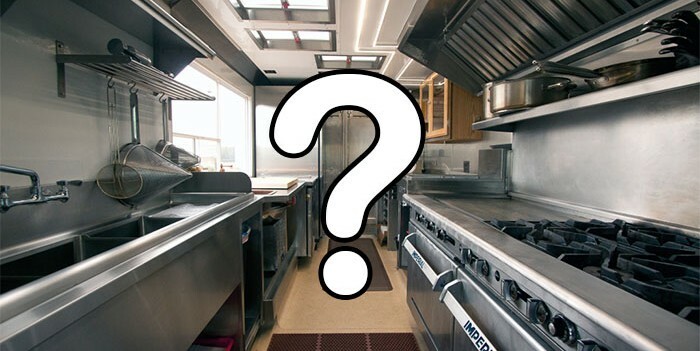 To prevent food truck failures requires that a vendor knows that any of these five causes could lead to failure. This knowledge alone should keep you on the straight and narrow in the other direction. Just be aware that you’re just as susceptible to food truck failure as the next vendor.